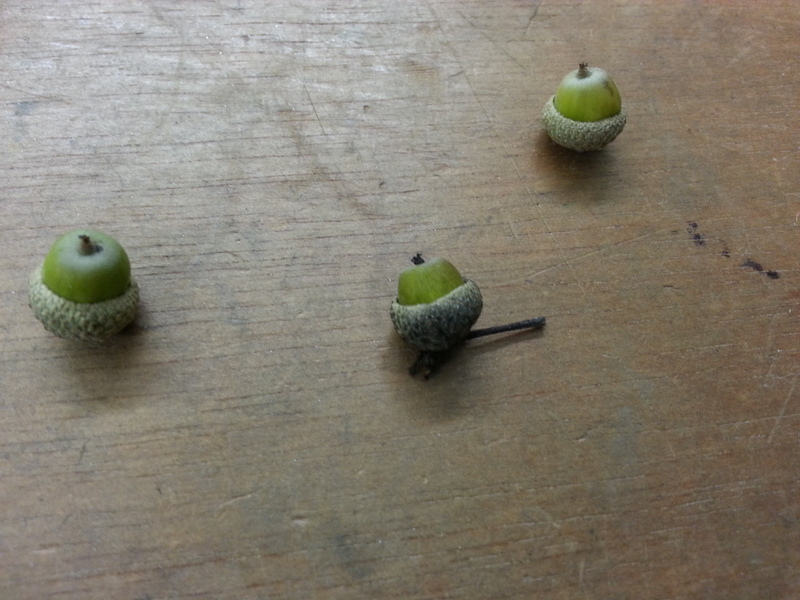 I was walking the dogs and found the cutest little acorns and thought I had to make something with them! As I have never cast anything and have been collecting my scrap silver, I thought I would cast them! 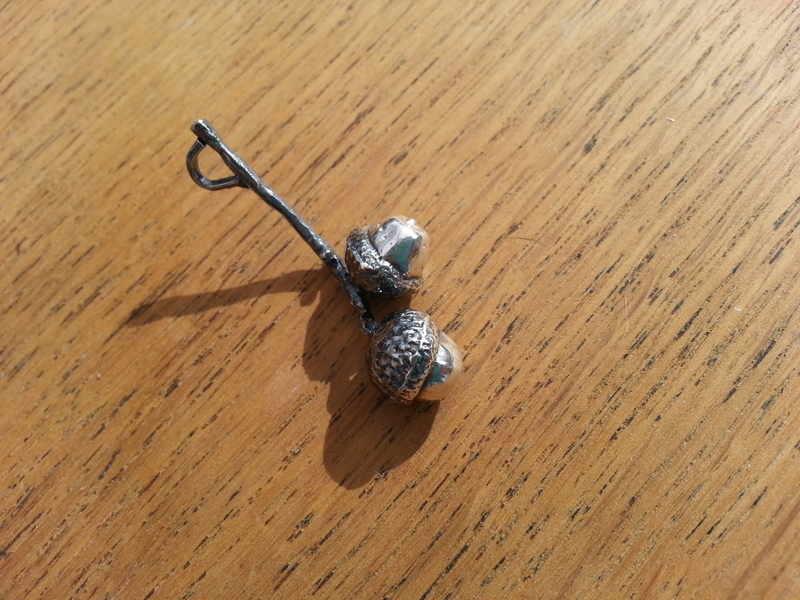 I made tiny silver acorns and have a You Tube link below showing the whole casting process I used. 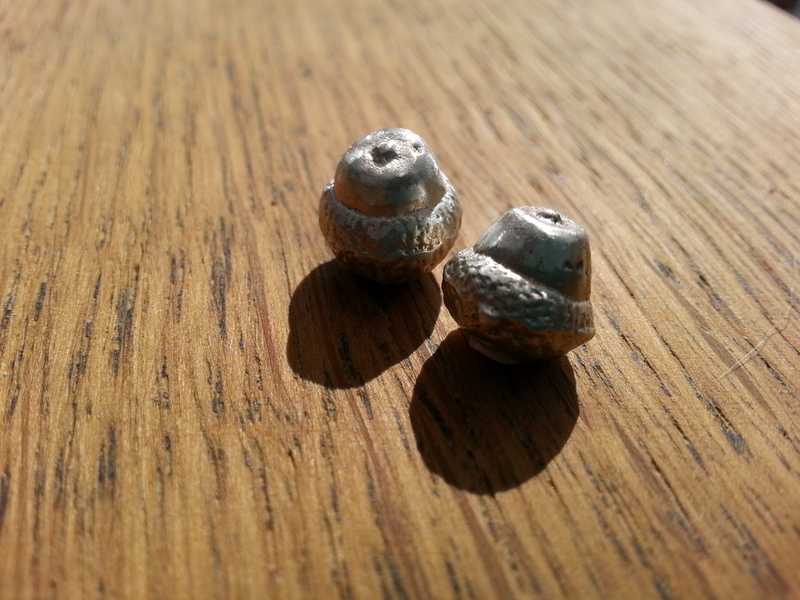 After casting these sweet acorns I thought they would look lovely as a pendant, unfortunately you can’t cast acorns on a twig with this basic casting method, so I made a twig using wire and milled and filed it to look similar to a twig. This entry was posted in Handmade, Jewellery and tagged acorns, cast, casting, Cute, Delft clay-sand, little, Lovely Deer, Metal, method, necklace, oak, Pendant, Process, scrap, Silver, twig, wood. Bookmark the permalink. Beautiful! I love this idea. How very interesting. I love that end product. What a lovely pendant! Well done! Beautiful! What a lovely idea. These are really exquisite. In fact, everything you make is beautiful – you’re very talented. Thanks for liking my blog, as it pointed me to yours! I love this! So pretty and simple. I’m so impressed! They are beautiful. I just learned of sand casting and found this as I searched far and wide for information to devour, lol. Those acorns are absolutely adorable and the pendant is just beautiful!! I am so excited to get my supplies and start casting. 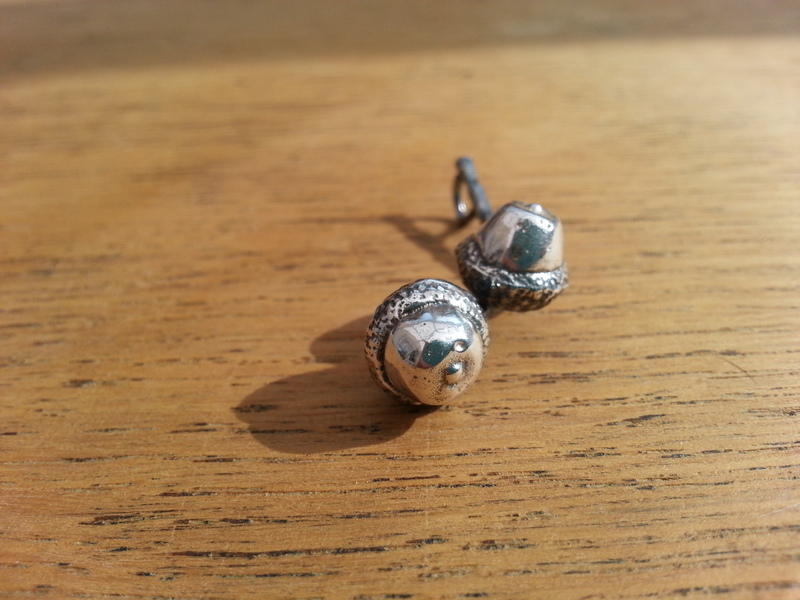 Did you use fine silver or sterling? 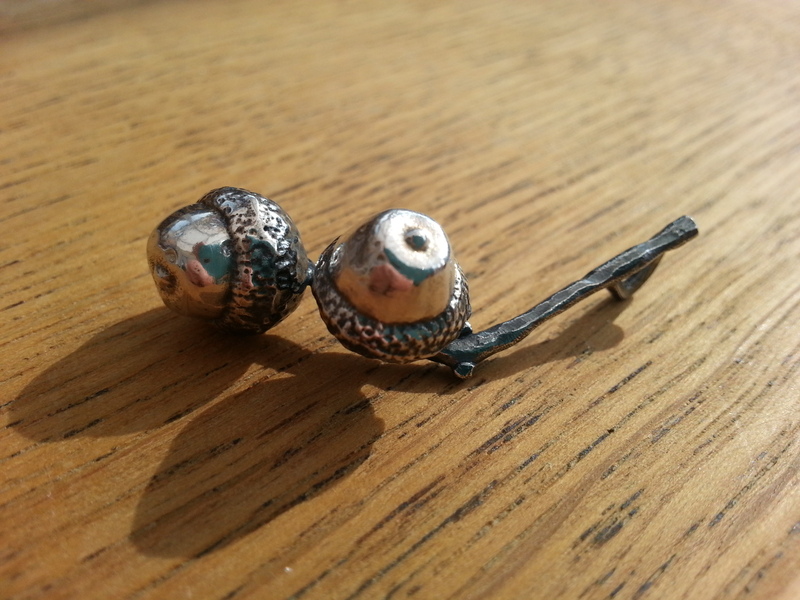 Thank you I used sterling silver. I hope you have a great time casting it’s lots of fun!